BTBL raises the big questions to start meaningful conversations. First let’s answer some of yours. What is Beyond the Black Line? Beyond the Black Line is a program created for swimmers, by swimmers, and delivered to swimmers through workshops around the country. The purpose of the program is to share experiences and normalise common issues faced by teenagers within our swimming community. It’s a conversation starter. The program is also complemented by an interactive website where further resources and information is available. BTBL has been designed to help support swimmers, who are navigating the journey of puberty and beyond, through hearing other swimmers’ personal stories. The videos online and in the workshops are an opportunity for young swimmers to learn from some of our past, present, and emerging Australian Dolphins. The workshops create an environment to openly discuss challenges and learning opportunities that occur along the journey. Each workshop runs for 90-minutes and is facilitated by a current or former Australian Dolphins swimmer. The swimmers participating get to hear from elite and emerging swimmers about their personal experiences as they grew up, or are growing up in the sport, through a number of video messages within a presentation. The swimmers that were interviewed for this program were incredibly honest in their responses and this has a powerful impact on those in the room. Ideally swimmers aged from 13 to 18 years. However we understand that girls in particular can hit puberty earlier, so they are also welcome to attend (with parent or guardian consent). 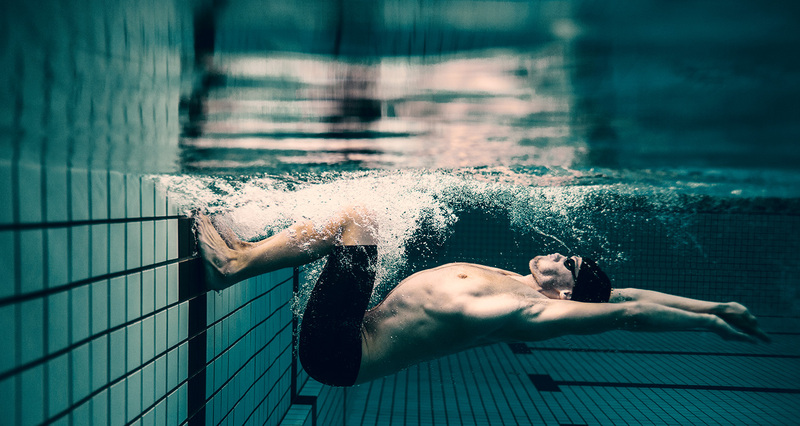 The workshop is for any swimmer who would like to gain insight into life as a swimmer, what to expect and how best to find their way along the pathway, as they grow and develop in the sport. It is not targeted at the elite level. The workshops are for swimmers only. From experience, we know that teenagers, and almost teenagers, need an environment that they are comfortable in to be able to talk freely. When there is a mix of adults and boys or girls, the conversation does not flow and the kids tend to be guarded. While your kids might be happy to talk freely with you, others might not feel as comfortable. We have a parents handout that is distributed by the hosting club prior to the workshop so they are fully aware of the purpose of the program, what may be discussed and where to find further information. We can also add a 10 minute overview of the program at the beginning of the workshop for parents. How do I attend or host a workshop? What is required to host a workshop? The host club needs to provide the venue with a suitable room for the number of swimmers expected. The workshop facilitator will only be travelling with a USB; therefore the venue will need AV facilities including a computer, screen and speakers. Workshops are currently fully funded by Swimming Australia and the Australian Swimmers Association however there are a limited number of free face to face workshops available to clubs for the remainder of the financial year. The workshops are separate for boys and girls, what if we only have girls at our club? You can request either a girls or boys workshop, or both, depending on your numbers. If you want to run both, we suggest they are run concurrently, in two separate locations/rooms. Is there a minimum number of swimmers required for a workshop? Being a fully funded program, we require minimum participant numbers of 10 to proceed for each workshop (girls and boys). If this is not possible from your club alone, we encourage you to invite other clubs within your region/district to attend the workshop. What is the difference between the face-to-face workshops and the website? Face-to- face workshops are delivered within the club environment, at key events, and within State Development Programs. The purpose of face-to-face workshops for swimmers, is to provide an in-depth exploration of ideas and topics in a safe environment with peers that they trust. The face-to-face workshops for parents and coaches provide an overview of the program and introduces them to the purpose and content. The website contains a collection of videos that discuss various topics covered in the workshops, providing a deeper insight into the program. The website provides access to elements of the program for swimmers who may not be able to attend a face-to- face workshop. It also provides swimmers who participated in a workshop, an avenue to continue learning and access to further resources and information. The workshops are for swimmers only, whereas the website will contain information and resources for swimmers, parents, clubs and coaches, and provide a platform for clubs to register to host a workshop. What will the swimmers learn or hear about during the face-to-face workshop? Why is the workshop for swimmers only? From experience, we know that teenagers, and almost teenagers, need an environment that they are comfortable in to be able to talk freely. When there is a mix of adults and boys or girls, the conversation does not flow and the kids tend to be guarded. While your kids might be happy to talk freely with you, others might not feel as comfortable. The workshops allow topics that are sometimes tricky conversations to have, to be started through the swimmers in the videos and the attending swimmer sharing their experiences. We hope that by addressing these topics we can assist the swimmers attending the workshop with their journey and help them stay in the sport longer. What can I do post a face-to-face workshop? Explore the BTBL website, learn more about the facilitators and continue to view videos with further stories and experiences. Can we choose our own presenter? The simple answer is no. Our facilitators are often in full time training, working, studying or traveling for competition and therefore have limited availability. All of our facilitators have excellent stories to share and each provide a unique opportunity.